Madrid is a passionate city and fitness culture is no exception! Madrid offers a large amount of sports activities both indoor and outdoor, which you can do on a daily basis or whenever it best fits your schedule. There are hundreds of possibilities in order to stay healthy, happy and full of energy while living in a big party city. Whether you are a newbie or a sports addict, the key to balance crazy parties, the great amount of delicious tapas, sangria, sleepless nights, and keeping fit is to find a resource that suits you! Don’t skip your routine during your stay abroad – motivation will get you started and habit is what will keep you going. 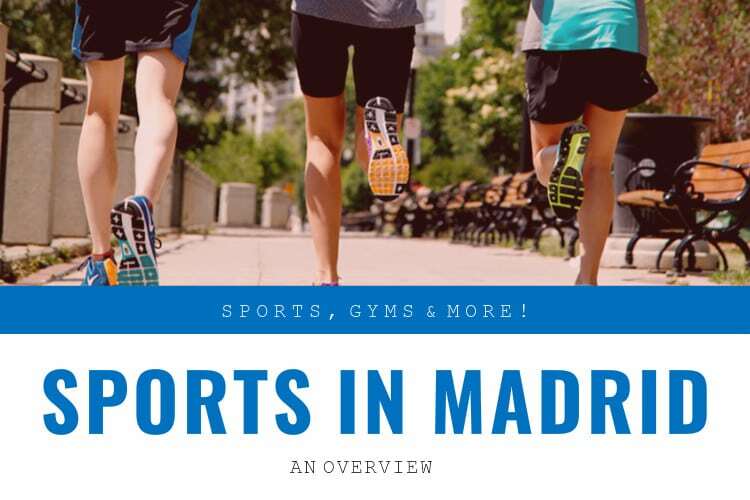 If you would like to stay updated about soccer teams, football or tennis matches, marathons organized in Madrid, famous sport activities, dance competitions, and much more, check out all our hints and tips below and join our latest WhatsApp forum: Sports in Madrid! The Sports Club is where it all happens! By joining the community you will have access to tons of sport and athletic related activities, meet ups and events as well as being connected to other athletically minded people in the city. 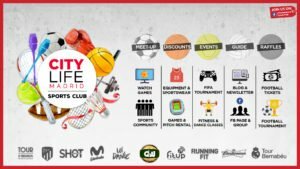 You will be kept up to date on all kinds of things like the Citylife Running Club, meet ups for games of any sport, important game viewings, informative articles and even discounts! Join the Sports Club now and follow our page for all the updates! Would you like to go to the gym to do cardio on treadmills, rowing machines, or stair climbers? Or do you prefer weightlifting? You can also go for regular group classes such as spinning, belly core, indoor walking, pilates and more! Fitup offers monthly contracts for just 22€/month (stop by the Citylife Madrid office to pick up your discount voucher!). They have several locations around Madrid that offer clean and sizeable work out spaces as well as great fitness classes throughout the day! These classes start in the early mornings and last till the late evening so you can combine them perfectly with your university/work schedule. And if you don’t want to commit to a gym membership, Citylife also offers various fitness classes (called “Get in Shape“) that are free with the City Card! Click here to read more about the “Get in Shape” fitness & dance classes as well as to download the semester schedule! Sports and athletics are both very social worlds! Most people get their motivation from their friends, teammates and workout partners! 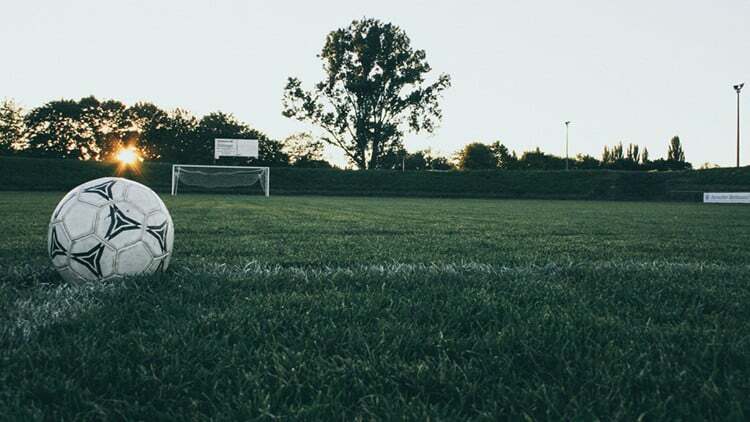 If you’re looking for people to form a football league, need a partner for a tennis match or just want to connect with people to chat, get advice and make some friends, then you should join our Sports Whatsapp forum! This is where we will post info about our sport meet ups and other sporting advice like the “Perfect Place for a Run in Madrid” and also where you can post and interact with other members! For the football (soccer) fans amongst you, there are daily football games taking place in the very center of Madrid during the semester. You are more than welcome to join! 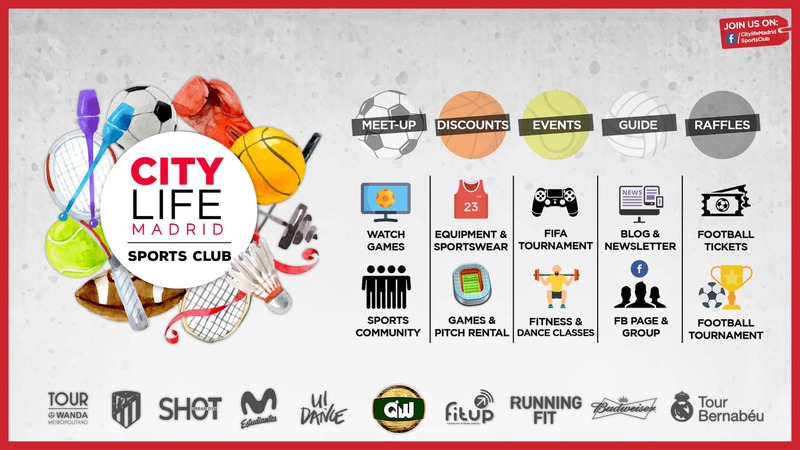 Simply check out the events section of the Citylife International Footballl League FB Page for more information! Another benefit to joining the Citylife Sports Club is that you’ll be the first to know when the QW Sports Bar is hosting a viewings of sport games! They do viewings of all kinds of sporting events like American football, European soccer leagues, champions league, world cup, tennis matches, rugby matches, basketball games and even hockey! 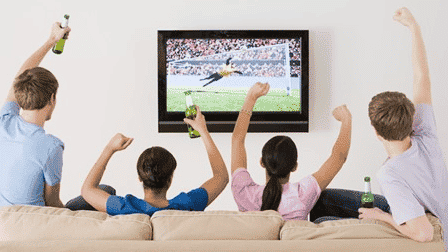 There are tons of different Spanish sporting events for you to watch. While you’re in Spain, enjoy the culture of their sporting events and try going to watch a few sports you wouldn’t normally! And even if we don’t announce a game, you can always go to the bar and ask if they can put your game of choice on one of their many televisions! The sports in Spain may be very different than what you’re used to at home. If you’re an athletic person, or someone who likes trying new things, then throughout your time in Spain, try out some new sports! 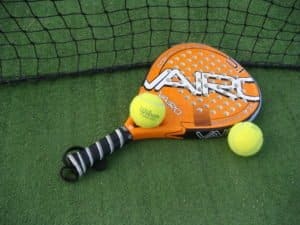 Football is by far the most popular Spanish sport, but there is also a large emphasis on tennis, padel, and cycling. There is even a tennis tournament called the Mutua Open, held right here in Madrid. Another big sport in Spain, as well as across Europe, is handball. This sport, among others, might not be as popular in your home country, so be sure to try it out! Click here to find the best places to play football in Madrid! If you want to head to the gym, go running, do some yoga or play a game of tennis, you’re going to need some equipment! No matter what your sport or activity, if you go visit Decathlon you’ll find what you need for incredibly affordable prices! If you want to shop more places, take a look at top recommendations for buying athletic wear in Madrid! As a member of the Citylife community you will also get a chance at winning tours of both the Real Madrid and Atletico Stadium museums and you might even win tickets to a game! You can also save money in many cases with the City Card! Not only do you get access to free fitness class and a cheaper fitup gym membership as mentioned above, but you can save on tons of other things in the city! Your friendly, neighbourhood, travel guide! Sorry i just trying to find some sporty people to help me if possible. im trying to arrange a stag party on the 7th to the 10th of June in Madrid. The Stag and majority of the people going are very sporty most of them playing top level hockey in Ireland. i wanted an activity for either the Friday or Saturday daytime for us to take part it in possible, has anyone got any ideas or suggestions.